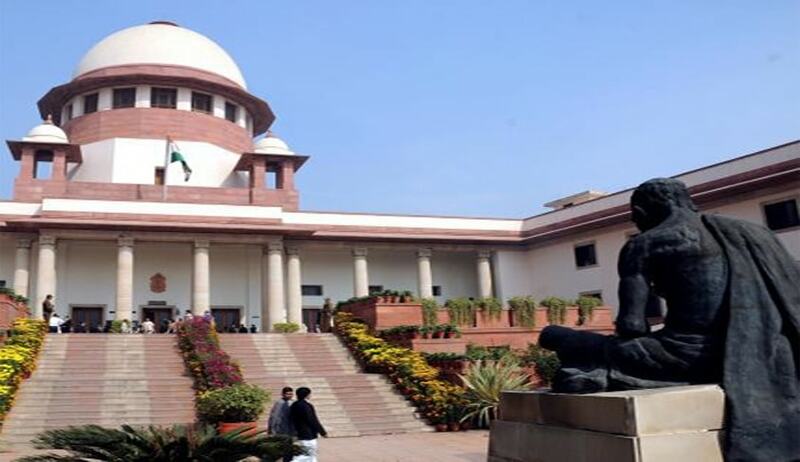 The Supreme Court today extended the exemption granted to certain categories of disabled persons from standing while national anthem is played in cinema halls to those affected with autism, cerebral palsy, multiple disabilities, Parkinson disease, stenosis, leprosy and polio cured. "Having heard learned counsel for the parties, we are inclined to modify the orders and direct that the persons who are wheel chair users, those with autism, persons suffering from cerebral palsy, multiple disabilities, parkinsons, multiple sclerosis, leprosy cured, muscular dystrophy and deaf and blind be treated not to be within the ambit of the orders passed by this Court. As far as the other categories, which we have not referred to mentioned in the application, are concerned, the same may be considered by the Union of India", said the Bench. The centre had earlier submitted before the court that the home ministry on the directions of the court has issued guidelines on how people with disabilities can show respect when the national anthem is being played in movie halls or public functions, saying they should not move and position themselves “maintaining the maximum possible alertness physically”. The issue of the disabled had been taken up by senior advocate Raju Ramachandran. A bench headed by justice Dipak Misra also sought Centre's response on a plea to make singing of national song Vande Matram mandatory in all schools. The Centre has been given four week time to respond. During the hearing, Additional Solicitor General Tushar Mehta said the “respect of national anthem is non-negotiable and every citizen is bound to show due respect to national flag and anthem”. “It is unfortunate that court has to intervene to ensure that people respect their national anthem which is their duty. It is a sad state of affairs that the petitioner had to come to a constitutional court for it when it is the duty of one and all “, he said. It all began on November 30 last year when giving the nation a surprise lesson on patriotism and nationalism, Justice Dipak Misra led bench, acting on a PIL filed by Bhopal resident Shyam Narayan Chouskey said it is time the people expressed their love for the motherland. He ordered all cinema halls across the country to play the national anthem before the screening of films and said cine-goers are “duty-bound” to show respect by standing while the anthem is being played. The bench also accepted a plea filed by Kerala-based Kodungallur Film Society seeking recall of the November 30 order of the apex court which made it mandatory for all cine goers to stand up for the anthem played before the start of the movie. Notice has been issued returnable after four weeks. The next date of hearing is on August 23. “This petition not maintainable..this petition lies to parliament and not court. The court should not have interfered and how can a court compel playing of the anthem at a particular time ..We have parliament to lay down rules in this regard if at all..the PIL is being used for SC to assume the power of legislature”, the society’s lawyers argued. On February 14 the Supreme Court clarified that one need not or no one can be compelled to stand up in attention position if the national anthem is played in a movie or a documentary.“When national anthem is played during film or documentary nobody is compelled to stand. On my question the Attorney General himself said the interim order does not deal with such a situation”, Justice Dipak Misra said during the hearing of the PIL on the issue. Kodungallur Film Society, one of the intervener who sought recall of the mandatory ‘stand up’ order had on that day also raised the issue vigilante groups indulging in attacks on those not respecting the national anthem and incidents of moral policing, the bench said “no no no there cannot be moral policing etc.”.